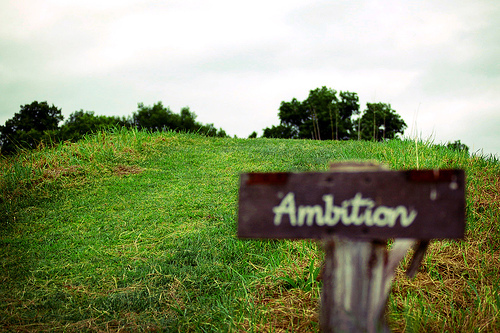 Believe it or not, there is only one item you need to have a successful blog; and that’s ambition. It doesn’t matter if you use WordPress, Blogger or TypePad. It doesn’t matter if you are an industry thought leader or a virtual unknown. As long as you have the ambition to post often, the ability to stick with it, and can be patient, you’ll be successful in time. Yes, there are other things that can help make your blog successful but if you don’t put forth the effort to create good content in the first place, all the tools and plugins in the world won’t do you any good. So true! I was coming here to see what I was missing for my blog, although I have ambition and drive, it certainly brings my back to reality in a blog world filled with all kinds of nonsense tips, thanks! Your encouraging words are so well timed. After talking about starting a blog for years, I finally started two blogs at the end of 2009. Now, as I begin to blog about my 101 Day Count Down to get my life unstuck from some major problems, the doubts had started to show themselves. You reminded me of the need to stay on track, and to remain true to my ambitions. How very true. You can read all the blogging tips in the world but they won’t help unless you know where you are going with your site and you have the ambition to get there. So true. Although, I figured there’d be a girl in a bikini…oh well.